As an entrepreneur, business owner, coach, or consultant, if you are using social media as a part of your marketing strategy, you probably know how difficult it is to generate engagement from your social media posts. However, high engagement is possible with the right content. In this blog post I share 5 Types of Content that Generate Engagement on Social Media. As a business owner, entrepreneur, coach or consultant, it’s important to have an online presence in the form of a website, but just having a website is not enough, you need to generate traffic to your website. One of the best ways to generate traffic to your website is using social media to promote the content on your blog. Blog posts are educational and people always want to learn more, so promoting your blog posts on social media can be a great way to get traffic to your website. As a coach, consultant or business owner, social media can be a great tool to use to grow your business, but with so many social media platforms out there, it can be hard to decide which platform is right for your business. If you are building a professional brand and your target audience is professionals, business owners, management level executives, then you don’t want to ignore LinkedIn. Social media is an awesome FREE tool you can use to GROW your business, and many small business owners, coaches, and consultants have decided to use social media to increase their brand awareness, amplify their messages and reach a new audience. Although the various social media platforms are free, it does take time, effort, and energy to get RESULTS from organic (not paid) social media marketing . In fact, many have questioned whether the time, effort and energy are worth the results you get from organic social media. Is Organic Social Media Marketing a Waste of Time? As a busy business owner, coach, or consultant, your time is precious and can be very limited. Even if you have a small team, you more than likely still have to wear many hats in your business, like office manager, accountant, marketer, sales person, customer service, etc. Because your time is so limited, you want to make sure that the marketing strategies that you implement are going to be worth your time. However, not all marketing strategies are created equal. Some marketing strategies you may see immediate results from, other marketing strategies you see results over time, and some you don’t see any results at all. Social media has become a major part of many people’s lives. In fact, with the rise of popular social media networks like Facebook, Twitter, LinkedIn, Google+, Instagram, Pinterest, and Snapchat, many people are using these networks to stay connected to family, friends and the world at large. In addition, many businesses have seen an opportunity to reach their target audience on these popular social networks. With so many people gathering on social networks, adding social media to a company’s marketing mix can allow the company to reach an online audience, amplify its message, and gain brand awareness. Before you start any venture, it is important to put a plan in place in order to outline where you are, where you would like to go, and what activities will be necessary in order for you to achieve your goals. However, when it comes to social media, many business owners, coaches, and consultants jump in head first, and neglect to put a social media marketing plan together, and then they get overwhelmed and lost in the noisy social media world. Having a plan helps you to stay focused and consistent with your social media marketing effort so you can eventually see results from your effort. In this blog post, I reveal the two keys to Social Media Marketing Success, and you can also download the checklist 21 Things You MUST do in Order to Get Amazing Results from Your Social Media Marketing! Be sure to download the list so you can start to put these things into action. Social media is a great way to amplify your message and reach your target audience, but a lot of independent business owners, coaches, and consultants struggle to stay consistent with their social media marketing effort, so how can you stay consistent on social media? The 1st step to being consistent with anything, is to be committed. You have to be committed to using social media marketing as a marketing activity for your business. If you’re not committed, you will never be consistent! If you’re not committed, you will never be consistent! With so many different types of social media platforms out there, it can easily become overwhelming to keep up with staying consistent on tons of different platforms, so limiting your social media networks will enable you to stay consistent. Not sure what social network is right for you? Check out this post What’s The Best Social Media Platform For Your Business? When you make it a habit to check the results of your social media marketing, this will help you to make adjustment to your social media and will help you to stay consistent with your effort, so no matter what social media platform you may be using, if they offer some insights on your results, be sure to check your analytics. These are just 5 ways to stay consistent with your social media marketing effort. What other ways have you used to stay consistent on social media? Be sure to comment below. Also, don’t forget to download the Marketing Essentials Checklist 21 Things You Must do in Order to Get Amazing Results from Your Social Media Marketing . When it comes to social media, many independent business owners, coaches, and consultants jump in head first without putting together a solid social media marketing plan. A social media marketing plan can help you stay organized on social media and get you results. However, some people confuse success on social media with a large following, but it’s not a large following that determines your success on social media, it’s how engaged your followers are to your brand, your message, your products and services. 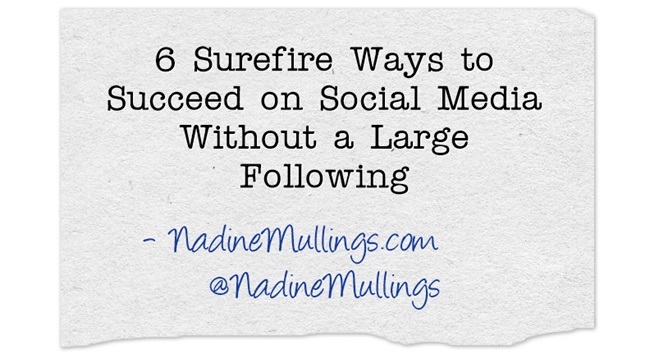 This blog post discusses 6 Surefire Ways to Succeed on Social Media Without a Large Following. Know Your Target Audience– when you are very specific about your target market, you will be able to know the best social networks to be on to reach your target market, and you will be able to know exactly what to say to your target market to keep them engaged. Who is your target audience? Create Engaging Content– when it comes to the content that you share on social networks, be sure to keep your content 80% entertaining/educating and only 20% promotional. After all it is “social” networks not “business” networks, so you want to make sure that the majority of the content that you post is “social” in nature. However, you are on social networks to gain exposure for your business too, so be sure to post some promotional or “business” focused content. It’s important that you know what type of content you want to share with your target audience, will your content be humorous, educational, inspirational, motivational, etc.? It is good to have a good mix of various forms of content. Including content that naturally creates more engagement like pictures, videos, questions, fill in the blank statements, polls/opinions, and inspirational quotes. 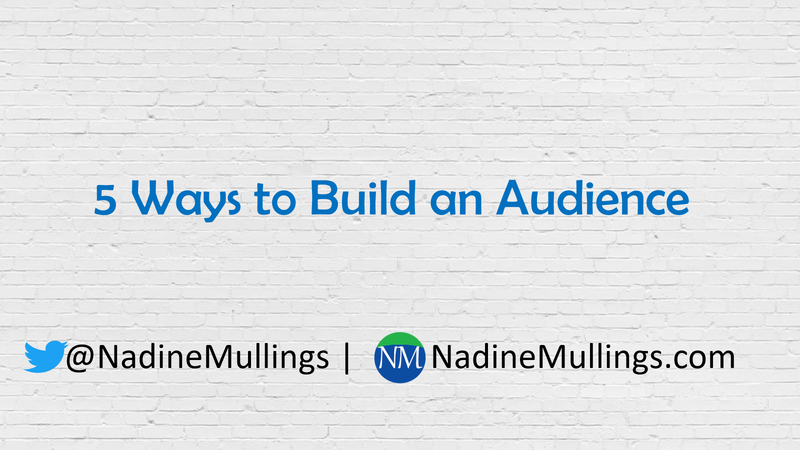 If you have good content that is appropriate and interesting for your target audience, this will naturally encourage engagement. Create a content calendar and automate some of your posts– Be sure to create a content calendar. In your content calendar you can plan what topic you want to concentrate your conversations around each month, and make it relevant to your target audience and your business. 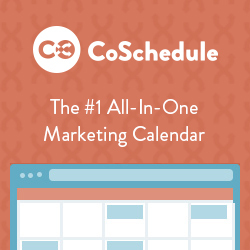 Your content calendar could be for the next 90 days, 6 months, or 12 months. Once you decide on the content you will be posting, there are some great tools available to help you to automate the publishing of your content on your social networks. Some popular tools are HootSuite, Sprout Social, Social Oomph, Post Planner, Meet Edgar etc. Planning out your content and then automating the publishing of it saves you a lot of time! Encourage people to connect with you online by placing your social network information on your business card. If you have a retail space or an office that is open to the public, place signs around your establishment encouraging your customers to connect with you on social networks. Promote connecting with you on social networks by adding links to your social networks on your e-mail signature line. Email your current customers inviting them to join you on a social network. It helps to offer some type of incentive for joining like a discount, coupon, e-Book, report, checklist, etc. Encourage your current fans and followers on your social networks to promote your page to their network. Post good content and encourage your network to share your information with their network, by liking, sharing, retweeting, repining, etc. Grow your social networks using paid advertising– Each social network is different in the types of paid advertising that they offer, but it helps to look into the following options of advertising for the particular social network you may be on. An Ad– consider paying to place an ad that is targeted to reach your particular target market as a way to grow your network. The ad must have a good image, good copy, and be relevant to your target audience in order to be successful. Promoted Content– this is a great way to use existing content that has gotten a good response from your followers and fans, and pay to promote that content to a larger audience. This can include a promoted post on Facebook, a promoted tweet on Twitter, a promoted pin on Pinterest etc. Affiliate marketing– connect with someone with a large audience that fits your target market, and ask him to promote your business, you can offer some type of incentive for promoting you or you can offer to promote that person to your network. Even though your network is smaller, it could still be potential exposure to new people for the person with the larger audience. A contest or sweepstakes where someone will win something for connecting with you on social media. Depending on the prize, the cost of this method could be minimal or expensive, but it’s a great way to increase you fans and followers. Just make sure that the prize is something that is of interest to your specific target audience. These are just 6 ways to succeed on social media without a large audience. 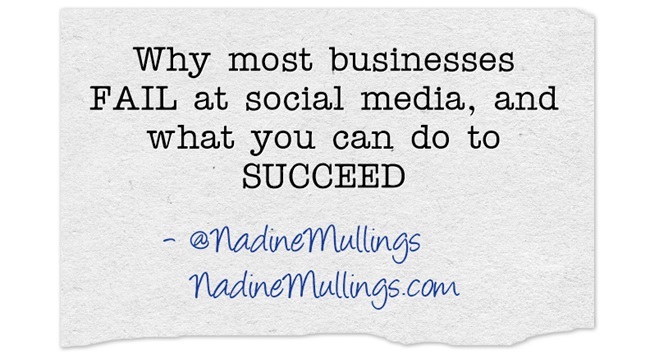 What other ways have you used to succeed on social media? Be sure to comment below.